Relative affordability is helping to draw homebuyers to the quiet Alameda County city of Castro Valley, making it one of the hottest ZIP codes in the country this year. That’s according to an analysis by realtor.com Chief Economist Danielle Hale, which ranks the country’s 10 hottest real estate markets based on most views on its website and the fastest pace of sales. 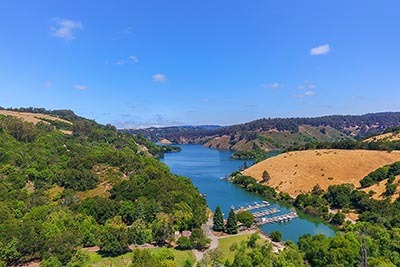 Of the 30,000 ZIP codes included in the study, Castro Valley’s 94546 ranks as America’s fourth hottest real estate market in 2018, with homes selling in an average of 16 days, 50 days faster than the nationwide pace of sales. Homes in that Castro Valley ZIP code list for $784,238, up by 7.6 percent from 2017. And while that makes it the most expensive community included in realtor.com’s list of America’s 10 hottest housing markets, it is still relatively affordable when compared with San Francisco, where the median list price is $944,000, and Silicon Valley, where homes list for $1.2 million. Castro Valley’s unemployment rate of 3.0 percent is below the national average of 3.9 percent, with job growth at 0.5 percent from last year. The report also cites the city’s top-quality school, access to BART, and community activities as reasons for its growing popularity with Bay Area home shoppers. Silicon Valley’s big-ticket real estate prices are not stopping residents from being philanthropic, with more than one-third of the population donating to worthy causes. A SmartAsset report ranks the top 25 places where Americans donate the most to charities on a 100-point scale based on the percentage of tax returns that report such donations and the percentage of income spent on contributions. The San Jose metropolitan area ranks No. 2 in the country for philanthropy, narrowly missing the top spot with a score of 98.98. The study says that 34.1 percent of San Jose residents gave to charities in 2015, with donations amounting to 3.9 percent of the region’s total income. Nationwide, 24 percent of Amreicans donated to charities that year. San Francisco is the only other California metro area to make the list, coming in at No. 18 with an 83.16. About one-third of residents donated money to charities, which translates to 2.2 percent of the area’s total income. Although National Association of Realtors’ Chief Economist Lawrence Yun recently said that there was little reason to fear an imminent housing downturn, another report postulates that some expensive U.S. markets may be heading toward bubble territory. Citing a study from Union Bank of Switzerland, realtor.com reports that San Francisco is currently America’s most overvalued housing market. Home prices in the region are now 20 percent above their 2006 peak, which is pushing San Francisco to the verge of a housing bubble. Los Angeles and New York City round out the top three most overheated U.S. housing markets. Still, as UBS Americas Real Estate Analyist Jonathan Woloshin points out, those U.S cities are less at risk for a bubble than other global cities, and while prices are showing signs of slowing, they are not collapsing as they did a decade ago as the recession began. Mortgage rates have reached the highest level since April 2011 after the Federal Reserve’s decision last week to raise interest rates. The latest numbers from Freddie Mac put 30-year, fixed-rate mortgages at 4.72 percent for the week ended Sept. 27, up from 3.83 percent at the same time last year. Fifteen-year, fixed rate mortgages also rose on a weekly and monthly basis to 4.16 percent. Even with rising rates, mortgage purchase applications increased for the sixth straight week on an annual basis, which Freddie Mac Chief Economist Sam Khater attributes in part to relaxing home prices and improving inventory. He added that although demand for homes remains strong due to a high level of consumer confidence and a thriving job market, buyers should expect rates to move higher in the coming months, which will further exacerbate affordability.